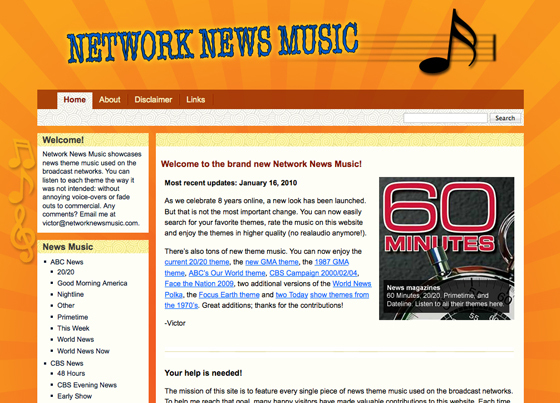 Network News Music, the ultimate resource for well network news music, has debuted a new site with many new updated files and features. The new site has higher quality audio clips, new theme additions and now you can rate each theme. Visit the new site today and have a listen.